Katey Snow, seventeen, slips the pickup into neutral and rolls silently out of the driveway of her Vermont home, her parents, Oliver and Ruth, still asleep. She isn't so much running away as on a journey of discovery. She carries with her a packet of letters addressed to her mother from an old army buddy of her father's. She has only recently been told that Oliver, who she adores more than anyone, isn't her biological father. She hopes the letter's sender will have answers to her many questions. 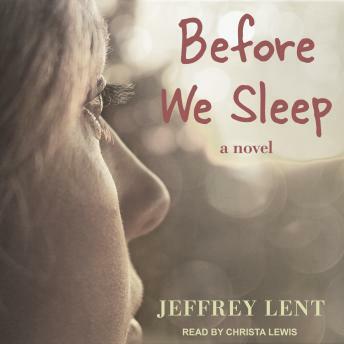 Before We Sleep moves gracefully between Katey's perspective on the road and her mother, Ruth's. Through Ruth's recollections, we learn of her courtship with Oliver, their marriage on the eve of war, and his return as a changed man. Oliver had always been a bit dreamy, but became more remote, finding solace most of all in repairing fiddles. There were adjustments, accommodations, sacrifices-but the family went on to find its own rhythms, satisfactions, and happiness. Now Katey's journey may rearrange the Snows' story.